Enrollment on the Affordable Care Act's federal marketplaces dropped almost everywhere this year, amid the Republican push for the healthcare law's repeal and the widespread sentiment that the insurance exchanges were going under. 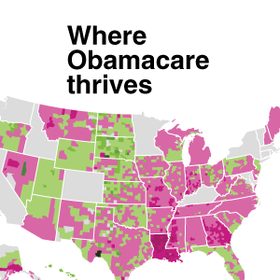 But Utah was a spot of hope for Obamacare supporters. You can find a visual representation of this story here.